First-time experiences make a huge difference on whether you’ll like a new activity—or avoid it at all costs. No surprise, then, that if your first day of mountain biking includes lots of frustration, bruises, or even a big crash, there’s a good chance you might ditch it altogether. 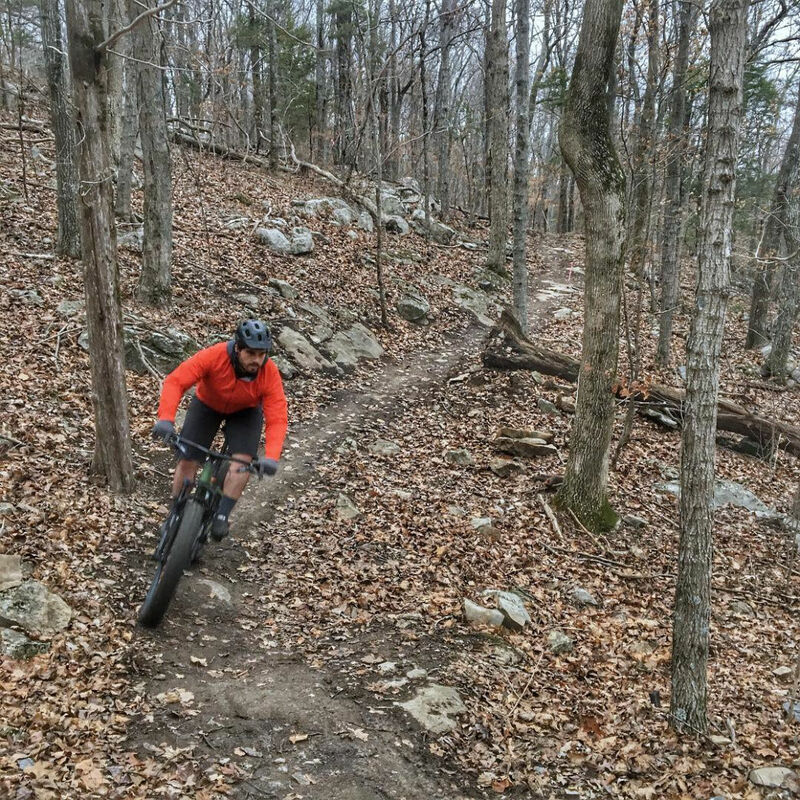 Fortunately, Alabama has several mountain bikes trails designed to help beginners ease into the sport and build their skills and confidence. 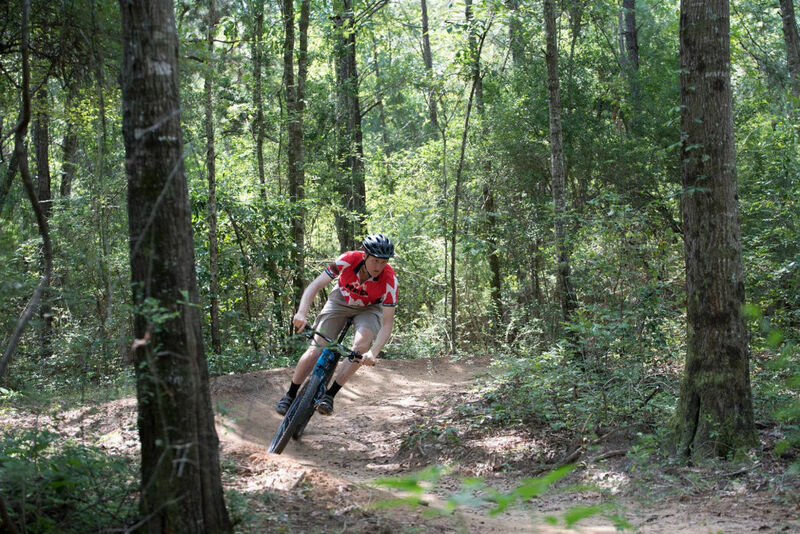 From Huntsville to Dothan, you can find great beginner trails that are easy to navigate and explore approachable terrain free of the steep hills, tricky rocks, and tight turns that require advanced riding skills. As you’re browsing trail guides and maps to find trails, keep in mind that beginner trails are usually designated as green. Sometimes, these paths will be four to five feet wide, as opposed to narrow singletrack, which affords more room to correct the bike as you’re moving. Plus, these trails are typically well marked, so people new to an area can navigate the trail system easily. After you develop basic skills on some easier routes, you can stretch a bit and seek out more challenging terrain on intermediate trails. But these five trails are a great place, in bike-speak, to get in the saddle. 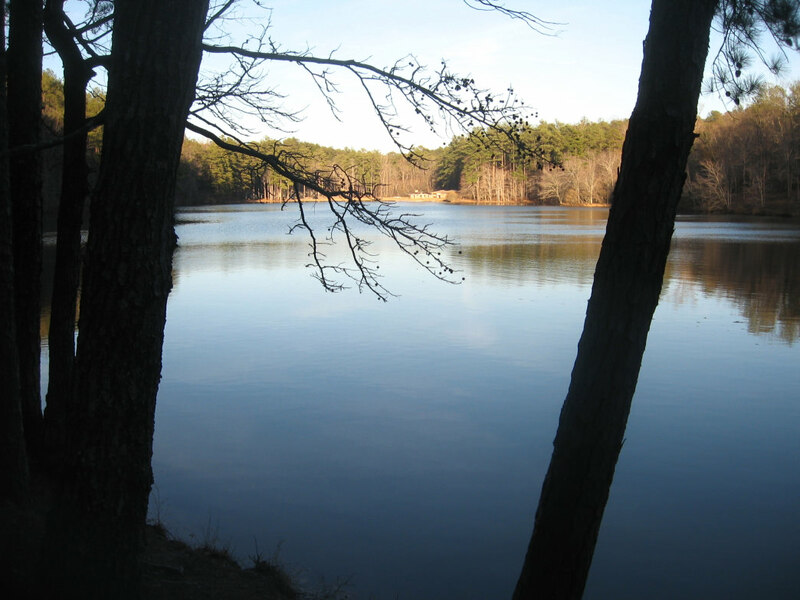 Birmingham’s Oak Mountain State Park offers 28 miles of bike paths, including the scenic, beginner-friendly Lake Trail. Following the shore of Double Oak Lake, this 2.3-mile is perfect for new riders, kids, and families. Measuring 4 to 5 feet wide, the trail allows you to maneuver comfortably and provides space for riders to stop and let others pass. With little change in elevation, the Lake Trail has no big climbs, and there are no technical sections with significant obstacles. While the Lake Trail allows you to learn to ride in a safe environment, it’s also a nice destination on its own, with good views of the water. Another bonus? It connects with other trails that are progressively more challenging, so beginners have easy access to intermediate paths where they can progress in their riding technique. Beginners visiting Oak Mountain can also ride the "pump" track, which is located on the east side of the park near the BMX track. Popular with kids and new riders, the pump track is a loop of packed dirt with berms and tabletops that you can ride with minimal or no pedaling. 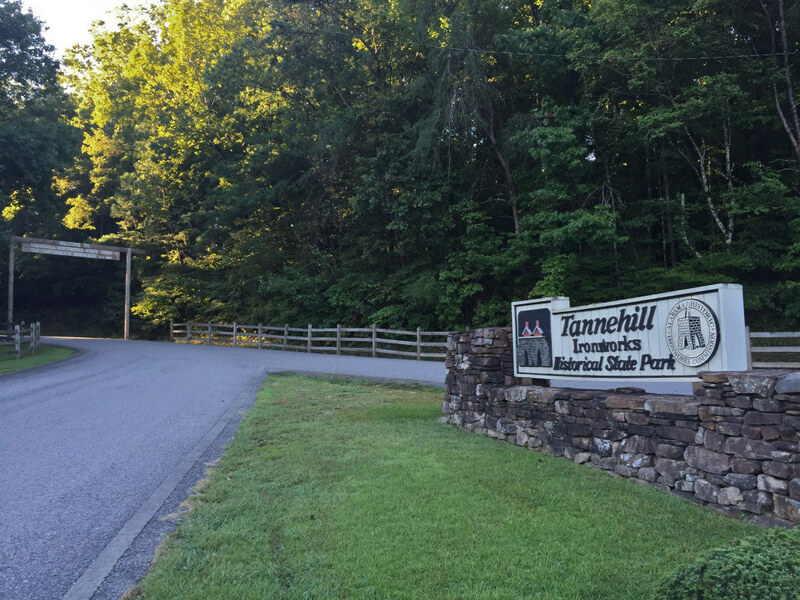 Encircling the heart of Tannehill Ironworks Historical State Park, the 3.9-mile Ironworks Loop (marked as the Brown Trail) is a great route for beginners. The wide, double-track path actually follows historic roads, including the Slave Quarters Trail, The Iron Haul Road and the Montevallo Stagecoach Road. While it includes a couple of moderate climbs, the trail covers easy ground and is popular with hikers, walkers, and birders, so be aware of fellow trail users. As you travel the Ironworks Loop, you’ll enjoy creek views and visit some of the park’s significant historic sites, including a slave cemetery. From 1859 to 1863, slaves at Tannehill Ironworks cut huge sandstone rocks, and then hauled and stacked them to form the area’s three furnaces. Once you’re more familiar with Tannehill and you’ve gained some biking experience, you can explore the area’s great intermediate routes like the Iron Runner Loop and Tri-County Marker Trail. 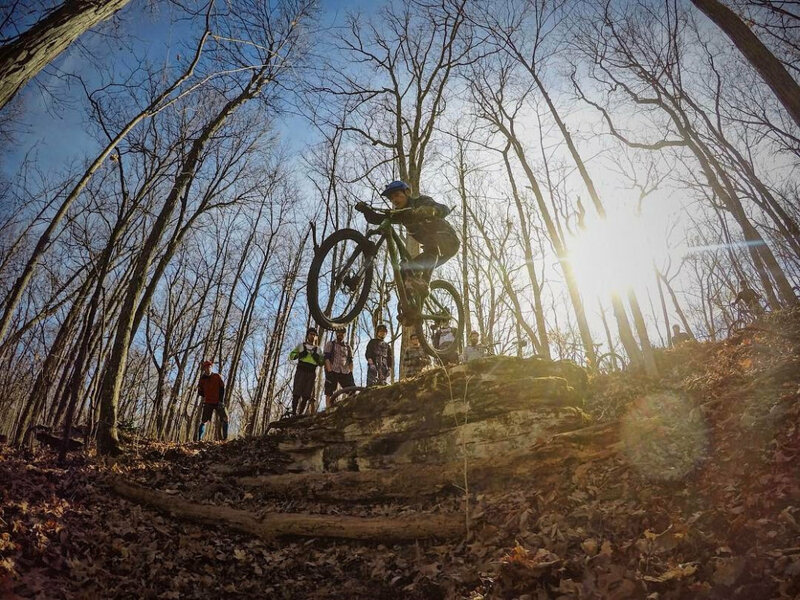 Many Huntsville riders take their first turn in the saddle on the Bucca Family Bike Trail in Monte Sano State Park. Traversing the park’s South Plateau, the path allows riders to do an out-and-back trip that measures 4.5 miles. In an extensive series of random curves, the path snakes its way across the plateau to reach O'Shaughnessy Point, where you’ll have nice bluff views. In general, the trail rolls gently, with no major changes in elevation or significant obstacles. At times you’ll negotiate tight turns, but the ground is fairly flat in the areas. If you want to bail from the trail, there are a few places where you can cut over to a gravel road or the wide, level South Plateau Loop Trail and return to the trailhead quickly and easily. Covering 100 acres of shaded woodlands and wetlands, the Forever Wild system in Dothan includes 10.5 miles of trails for biking, hiking, and trail running. If you’re brand new to mountain biking, try the 1-mile Beaver Flats Trail, which is the only path that isn’t singletrack. About eight feet wide in most places, it covers mild terrain and passes through attractive woods with tall magnolias and stands of oaks and pines. If you have a bit of experience, try the 1.4-mile Stagecoach Plateau Trail. Rated somewhere between a beginner and intermediate trail, it crosses a plateau that’s about 70 feet tall and drops through banked curves in a mature hardwood forest. If you’re less experienced, you’ll be fine if you take it slow on the downhill sections. For a bit of a thrill, try the 1.4-mile Zion Cemetery Ridge Trail. While it’s designed for beginners, the path is built on hard clay, so it rides fast. Here, you’ll also enjoy beautiful surroundings, including stands of hickory trees, oaks, and big pines. In a few areas, the path runs through patches of wetland, so grid blocks cover the ground to keep riders out of the muck. Northeast of Sylacauga, the Sylaward Trail winds through remote woods that surround Lake Howard and border the Talladega National Forest. With four separate loops that branch off a main trail, the Sylaward system allows you to ride a total of about 15 miles. These well-maintained singletrack trails are generally smooth and mostly consist of hard-packed dirt with few roots, rocks, and other obstacles. While much of the riding isn’t technical, occasional changes in elevation keep things interesting. Along the way, you’ll climb a few hills, but there are no long, steep ascents. Because there are so many loops, you can tailor the length of your ride, and the area is easy to navigate, thanks to the many trails signs, mileage posts, and colored blazes that identify various loops.